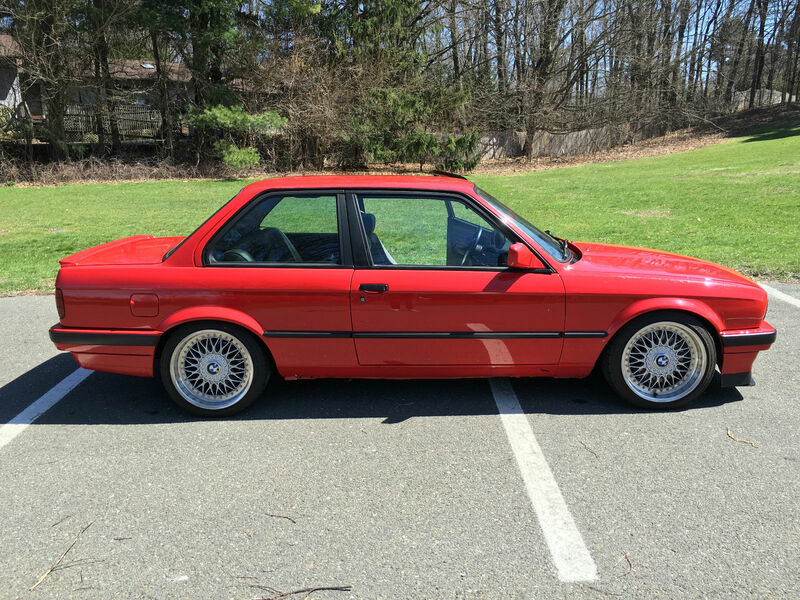 Check out this 1991 BMW 318is with S52 Swap bidding here on eBay for $5,900 reserve-not-met with $10,500 buy-it-now with auction ending Friday at 3:40PM PST. 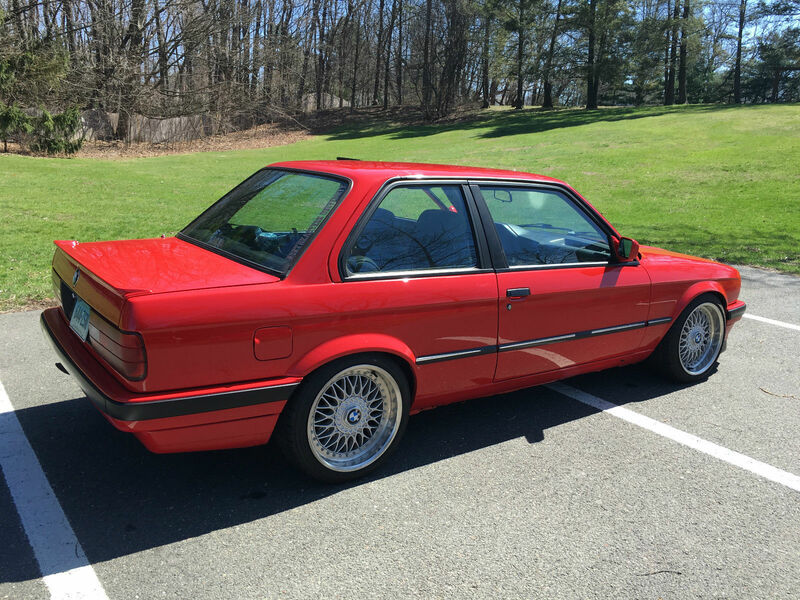 You are bidding on a 1991 318is with the S52B32 motor from a 1998 BMW M3 automatic. The transmission is a ZF-320 which was pulled from a 1997 BMW 328i. 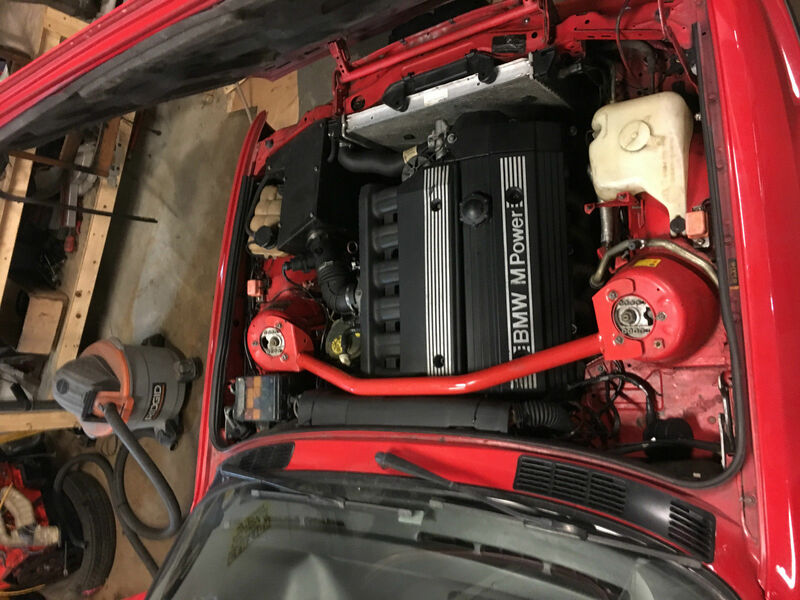 Both the engine and transmission are in good shape with no funny noises or leaks. It is a slicktop (non-sunroof) vehicle, which is very rare in the E30 body style. Brilliantrot respray 2 years ago - Paint is not a top of the line job, but is definitely better than a run of the mill respray. All the exterior surfaces of the car are smooth and scratch free, and the paint has excellent shine and luster. As stated in the condition section, the paint does have a few imperfections, mostly in the trunk sill (where the quarter panel was replaced and the tail-panel welded back to the new quarter panel), and along the rocker panels where road debris has started to knick the finish. Additionally, the windshield has a filled chip and scratch on the passenger side from a previous owner running the windshield wipers without a blade. Overall, the car presents and drives very well. A lot of time and money has gone into the car over the past two years and I have personally driven 35000 miles over the last year and a half. 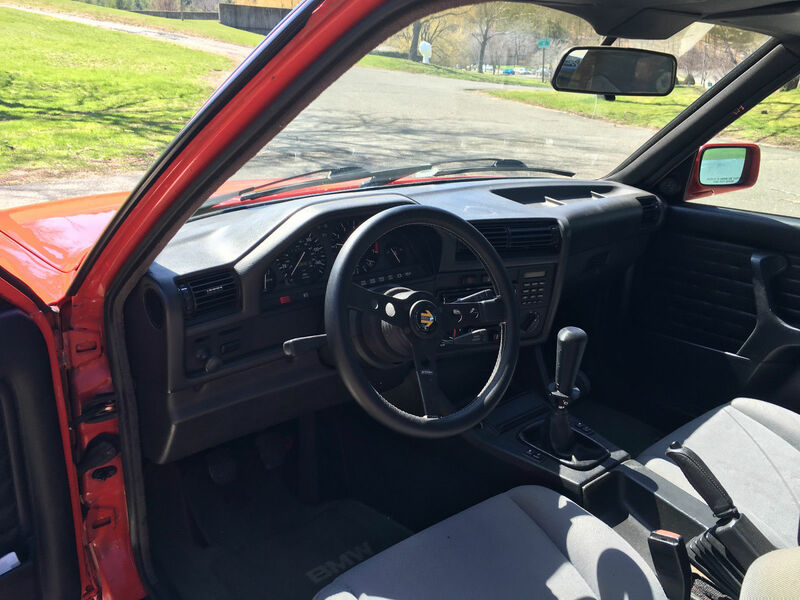 While not an original example, or a show car, this vehicle would make an excellent daily or weekend car for someone who doesn't want to be concerned about every little knick or scratch every time it is taken out. Currently, the ABS computer is uninstalled and there is no cruise control module or actuator. Car will come with a few extra parts from various E30's that I have owned including an extra ECU and 'tuned' chip and ABS computer among other smaller items. Please contact me for more details and pictures. This car would be so much fun. I much rather buy this than an e30 m3. Yes, the shifter is totally disgusting. Looks like it belongs in the Adam and Eve catalogue. In a non-California regulatory environment this car looks like it's 90% there. It looks like it's even worth the BIN. But yeah, that shift knob...your girlfriend might decide she likes the car better than you. Which might not be an entirely bad state of affairs.